This tip was months old when I found it. It wasn't a technical challenge for the builder, but it was a clever solution, and that is always worth my time. 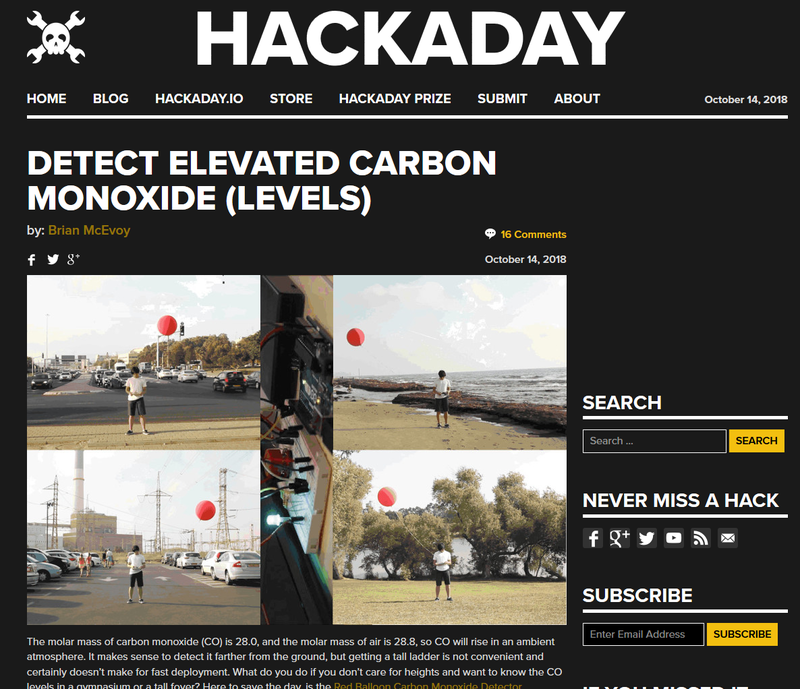 Someone wanted to detect carbon monoxide, and the sensors to do that are easy to buy, but getting the sensors higher than an arm is more challenging. 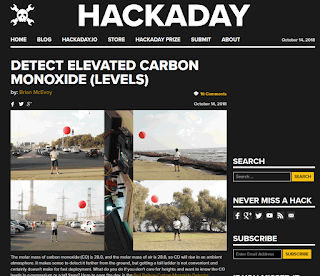 The solution was to attach the sensor to a helium balloon and take readings up to fifteen feet, or five meters. When the article was first published, I miscalculated the conversion at three meters. It was corrected after a reader pointed it out to me.